Island hopping (Actually, since we were touring just one island -Boracay, the correct term really, should be: Beach Hopping.) 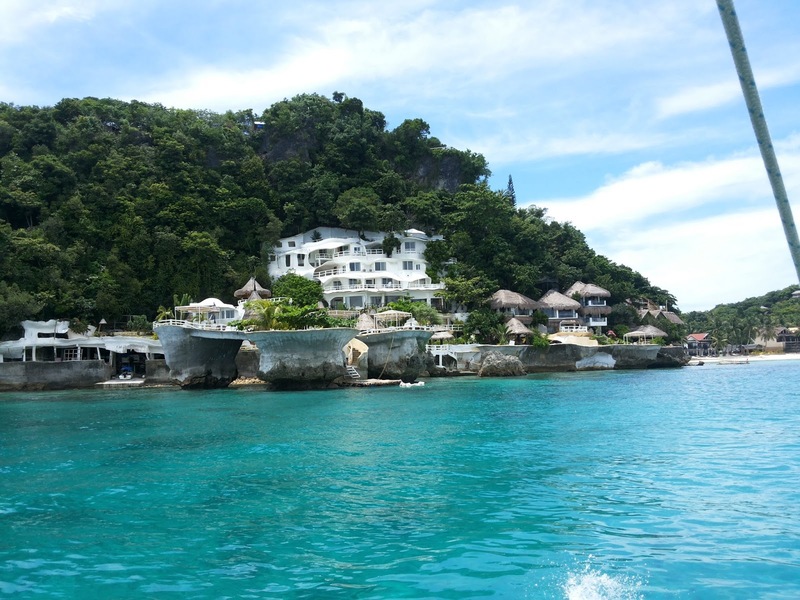 was obviously the best way to see Boracay. For only P1500-P2000 (depending on how good you haggle) you can get a small boat that fits 4-5 people and go on beach hopping. D' Pacman Boracay Mansion (very impressive)! Coconut ("Buko") costs about P100 bucks along the White Beach. Hubby got his from a hawker on a row boat at 3 for P100 (still expensive considering you can get it for a little over P20 in Manila, but somehow, on a banca, buko juice seems to taste better :P). The entire tour included snorkeling and visits to 2 beaches (Giligiligan and Puca) and lasted for a little under 3 hours. Giligiligan is secluded. We had the entire beach to ourselves ~ it was just us and the beach (pure serenity). Water was calm and crystal clear, although sand here was slightly rough compared to the White Beach. My boys enjoyed Giligiligan - away from the noisy and crowded White Beach. The second beach Puca we went to was a haven for pasalubong shoppers. The boys didn't like it here, but I did... I had so much fun checking the shops. And ended P1500 poorer and about a pound or so heavier (pasalubong on hand). Goods are cheaper here in Puca compared to D'Mall, but a little higher compared to D'Talipapa. 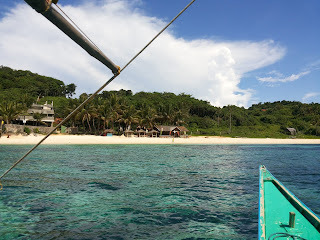 Please see my related blogs on Giligiligan Beach and Puca Beach.